(FORT BENNING, Ga) - Brig. Gen. David A. Lesperance, Armor School Commandant, U.S. Army Maneuver Center of Excellence, hosts a reception and gift exchange for the Afghan National Defense and Security Forces Oct. 2, 2018, at the National Infantry Museum. (FORT BENNING, Ga) - Brig. 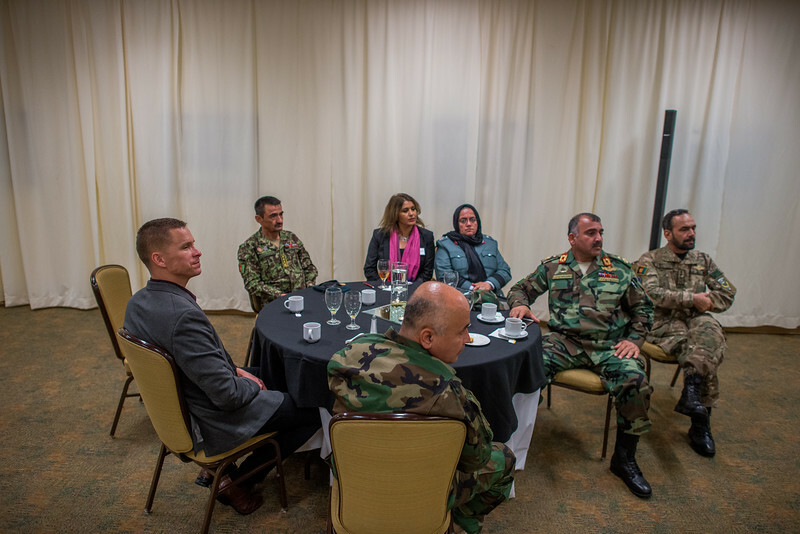 Gen. David A. Lesperance, Armor School Commandant, U.S. Army Maneuver Center of Excellence, hosts a reception and gift exchange for the Afghan National Defense and Security Forces Oct. 2, 2018, at the National Infantry Museum. U.S. Army photo by Patrick A. Albright, Fort Benning Maneuver Center of Excellence photographer.